Published on 10 September 2012. 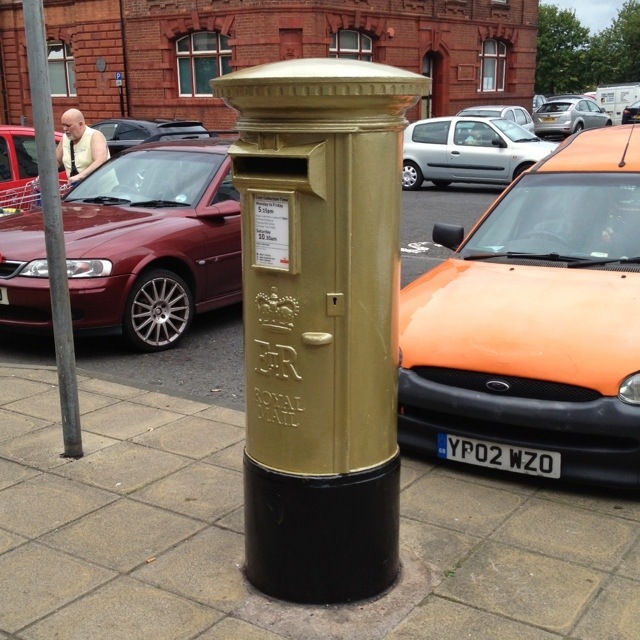 This is Josef Craig’s gold post box, celebrating the 15 year-old’s world record breaking gold medal performance in the S7 400m Freestyle. He’s certainly become something of a local hero in Jarrow – the bloke painting the postbox said that so many people had come up and told him about Joe that he felt like he knew him! This 1,804th post was filed under: Photo-a-day 2012, Jarrow.